This project was a part of a two-day user experience conference run by Liz Wells of StinkStudios. Our task was to create an interactive experience at The University of Rochester's Memorial Art Gallery. Through user interviews, we identified several opportunities for the museum to improve the user experience. I initially intended to create an app that would provide additional information about exhibits at the museum. However, I discovered that most people would prefer to use Google instead of downloading an app. But using Google in the museum context can be inconvenient, especially when typing up long titles and artists’ names. There is often little time during a museum visit to search for information on the pieces of art that a visitor finds interesting. As a result, many people resort to taking photos of the artworks with the intention of going back later and researching them further. Most people never get around to doing this. 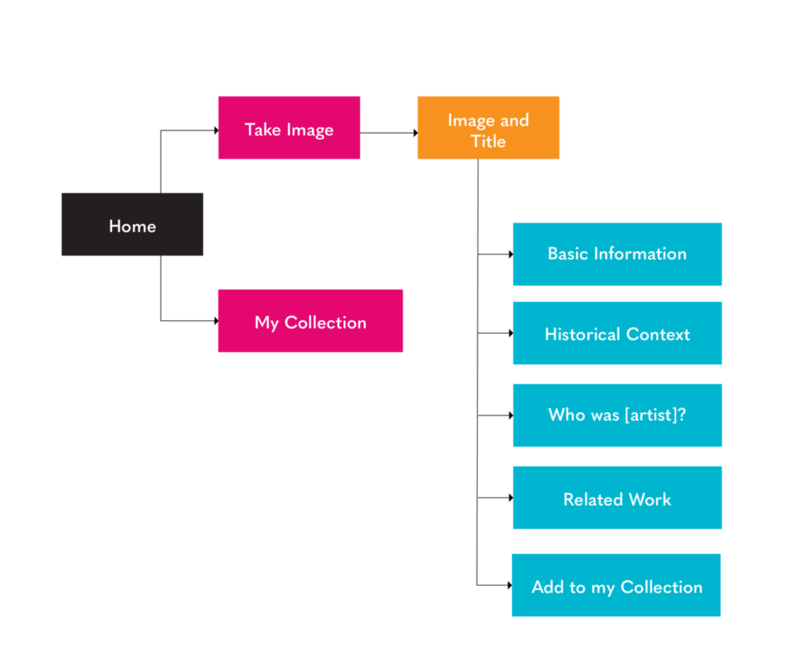 With my app, a museum visitor simply has to hold the smartphone camera up to the artwork and recognition software will bring up the image of the piece and information about it, including background on the artist, historical context, and related work. The user can also save their favorites to a personal museum collection. We user-tested the prototype app at the museum and I incorporated that feedback into the design. Most people said that they found the app very intuitive and that they would prefer it over Google to learn more about the art at the museum.